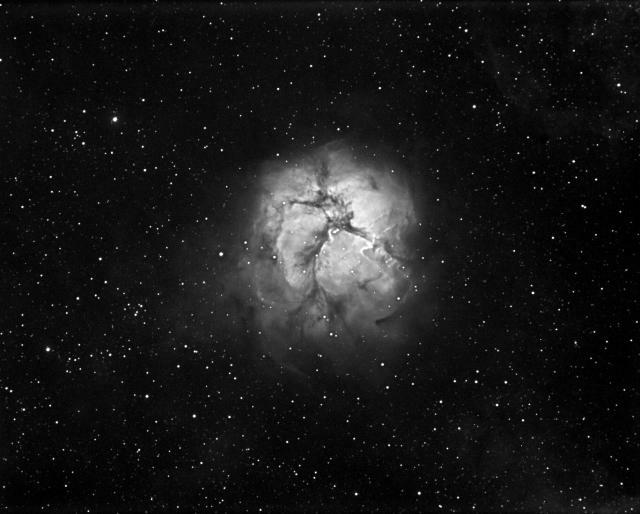 The trifid nebula. Shot in H alpha light a earlier this week. Total exposure about one hour.